This workshop, Level 1 (beginner), is designed to teach techniques of mosaic to students with little or no prior experience, but we also offer more advanced classes. Level 1 and Level 2 (intermediate) are offered on two consecutive periods for participants wishing to complete both levels on a single trip. 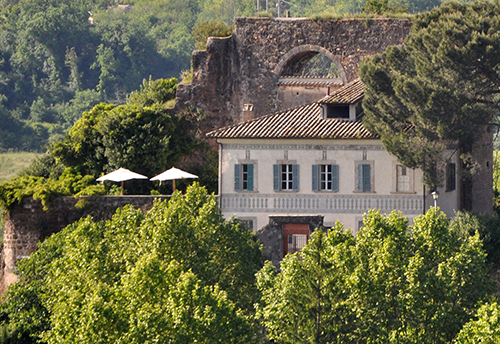 The venue is situated in our Renaissance Villa of the Aqueduct in the delightful hilltown of Orte. In addition to classes led by our instructor, a practicing ancient mosaic restoration expert, we will take field trips to Ostia Antica and Ravenna to see and understand first-hand the progressive development of mosaic art and technique from the Roman to Bizantine period. In class the participants will learn the basics of the Roman mosaic techniques by direct method on temporary and permanent supports, the characteristics of marble, stone and vitreous paste, the different types of binders and the cutting of the materials. The process of creating mosaic will be learned through the creation of a copy of a fragment of a Roman motif. The final dimensions of the artwork, including theframe, will be 30 x 30 x 2.5 cm (12" x 12" x 1"). All materials and tools are included in the course, and created artworks are kept by the respective participants. The mosaic lessons will be held in the great room of our Renaissance Villa of the Aqueduct in the delightful hilltown of Orte according to the following schedule: 5 days, 9:00AM – 1:00PM and 2:00PM – 6:00PM for a total of 40 hours of instruction. This class size will be between 5 and 8 participants. 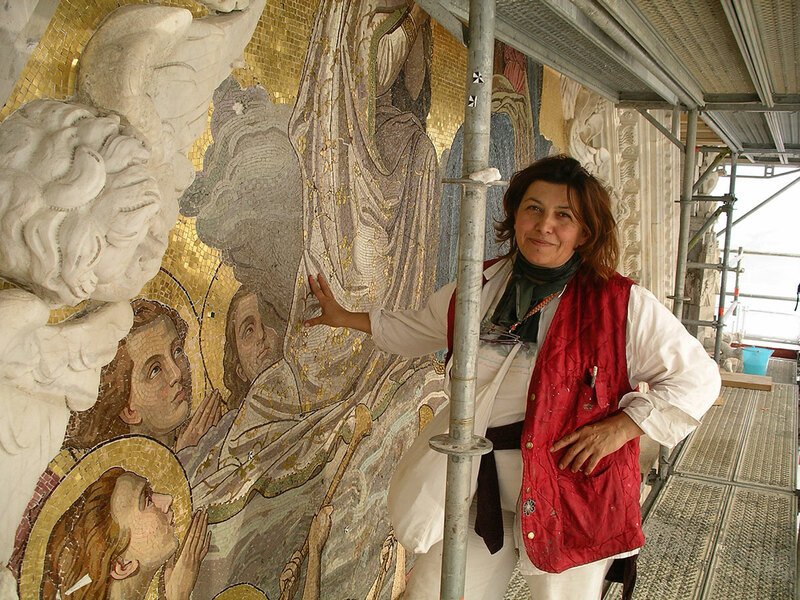 Master mosaicist Giuliana was born in Ravenna, where she lives and works. She attended the Art Institute of Mosaic Art of Ravenna obtaining the title of Master of Art in Mosaic. Her passion and dedication to the mosaic art is matched by a professional experience as a mosaic artist and conservator of cultural assets in the sector of mosaic and painting that spans over twenty years. As a Technical Director she works in collaboration with specialists of the field on Bizantine, Greek-Roman, and Paleochristian mosaics. Her work has been performed over the entire Italian peninsula covering the most significant examples in the territory of this spectacular and patient art. Today our driver will meet you at the Orte train station (which is reached directly by train from the Fiumicino - FCO airport) and will take you to the villa of the Aqueduct or the villa Le Terrae. In the evening we will sit down together for a welcome dinner of typical dishes from the local culinary tradition, prepared by our cook. This morning you will meet Giuliana, our class instructor. Class begins with an introduction to the historical and theoretical framework of mosaic art in Italy, and an overview of the week-long workshop. You will start the tracing of the Roman motif of the subject that you will have already chosen among the ones proposed by the instructor prior to your arrival in Italy. After breakfast in Orte, we will travel to Ostia Antica, the Roman city-colony built near the mouth of the Tiber River that served as the principal Mediterranean port for goods transported to Rome. We will take a beautiful walk inside the archaeological area to admire the well preserved Roman mosaics within the ruins of the ancient public and private buildings. Our tasty lunch break will be at a local restaurant. At the end of the day dinner will be waiting for us at the villa. 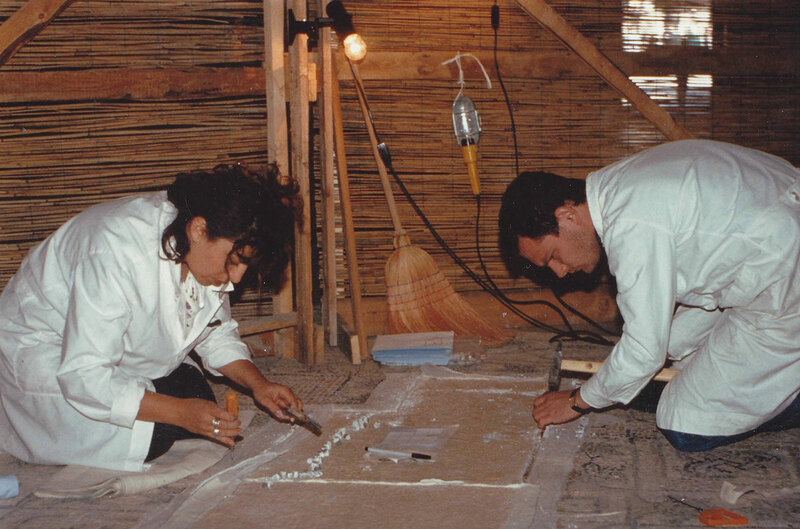 The program for these three days includes: Cutting of materials with traditional mosaic tools; Preparation of the plaster base; Stamping the mosaic drawing outline onto the temporary base frame; Application of mosaic tiles on the plaster base; Transfer of the mosaic composition onto the display base and finishing touchups. Today we will leave for Ravenna, for an extraordinary visit to a complex of monuments that for its wealth of Bizantine mosaics has been declared a UNESCO World Heritage Site. The city was the capital of the Western Roman Empire in the V century, and capital of the Exarchate and administrative center of the Byzantine goverment in Italy until the VII century. Ravenna still preserves the artifacts of its glorious past with the exceptional artwork in the Basilica of St. Vitale, the Mausoleo of Galla Placidia, the Baptistery Neoniano, and the Basilica of St. Apollinare Nuovo. The mosaic art expresses here the highest artistic level of the Bizantine period, with a thriumph of images and colors that leaves the visitor breathless. Lunch will be at a typical local restaurant and dinner back in Orte. Finishing of the artwork. The farewell dinner will be at a local restaurant. After one last breakfast at the local coffee shop, our driver will accompany you to the station of Orte. Thank you for having joined us! Participants are required to bring safety glasses. The instructor will email each participant a series of Roman motifs from which to choose the subject to be reproduced during the course of the class. Please communicate your choice promptly, so that the necessary materials can be ready on the first day of class. This workshop will operate with between 4 and 8 participants.